How do I use Zoom video conferencing? We have a Zoom site licensing agreement, and use Zoom for our video and web conferencing needs! We selected Zoom for their ease of use, video & audio quality, not to mention their ability for cross-platform and mobile support. UM Employees: Use the sign in instructions below. Students: by special request, use the general help form or call IT Central at (406) 243-4357. These sites provide easy access to product information, short video tutorials and user guides. Please note that we are coordinating several closed training classes for University of Montana employees. Very soon, we will provide information on future private training sessions. Just as we do with Box and CyberBear, we will be using Single Sign On (SSO) to provision and log into Zoom using your NetID and password. Once you have the client downloaded onto your device, you might be asked to sign in. This process is also how you will sign in to the client from now on. 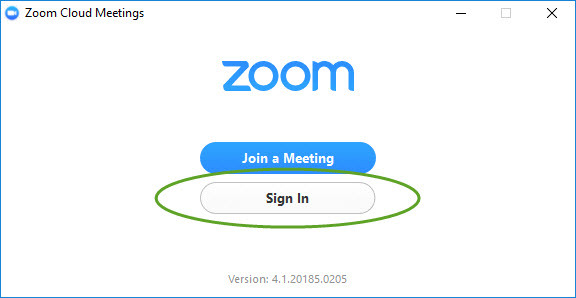 Launch the Zoom client and click on Sign In. 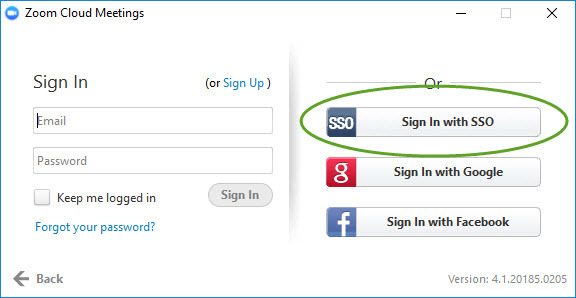 From the client, click on Sign in with SSO. You will be prompted to enter our company domain. 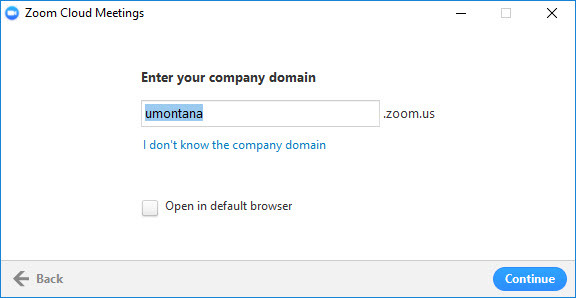 Type in umontana and click continue. You will route to our SSO (NetID) login screen. 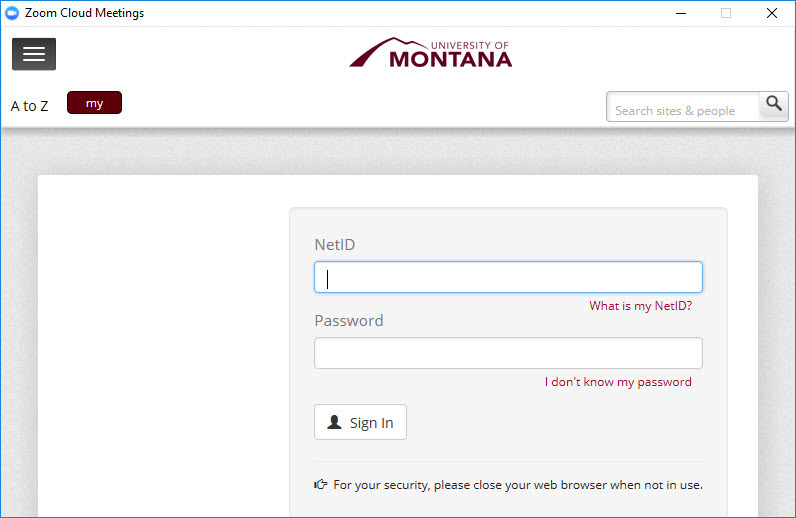 Enter your NetID and password. You should now be in the client. Check out this knowledge base article I found in the UM Solutions Center knowledge base. https://umt.teamdynamix.com/TDClient/KB/ArticleDet?ID=48875 How do I use Zoom video conferencing? We have a Zoom site licensing agreement, and use Zoom for our video and web conferencing needs! We selected Zoom for their ease of use, video & audio quality, not to mention their ability for cross-platform and mobile support. Zoom is currently available to all UM employees. Student may be able to use Zoom upon request, see details in the article.